Welcome to Columbus' premier custom framing store - where our expert framer and design team offer unique solutions to all of your framing challenges. It may seem simple to choose a frame for your artwork or documents, however there are many factors that lead to professional results. 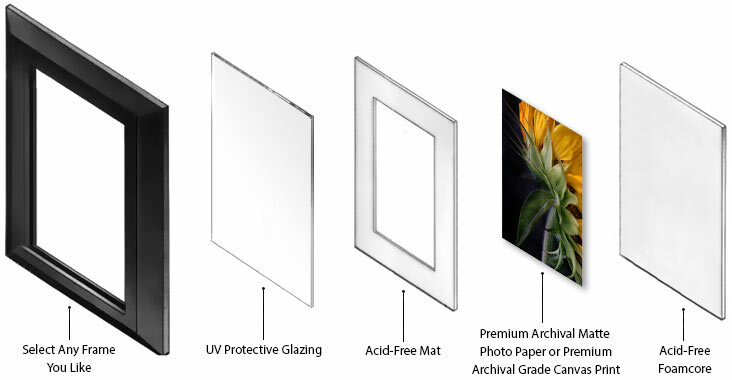 Mat border proportions, frame width when not using a mat, types of glass, and the contrast and shape of the moulding all need to be considered. We serve consumers, art collectors, interior designers and commercial clients. Our combination of framing skills and a large selection of custom framing materials give us the capability to provide creative framing options, outstanding service, competitive prices, fast turnaround, and a total satisfaction guarantee. Call now for more information about our professional framing services.